Hello, lovely Citrus Twist friends! 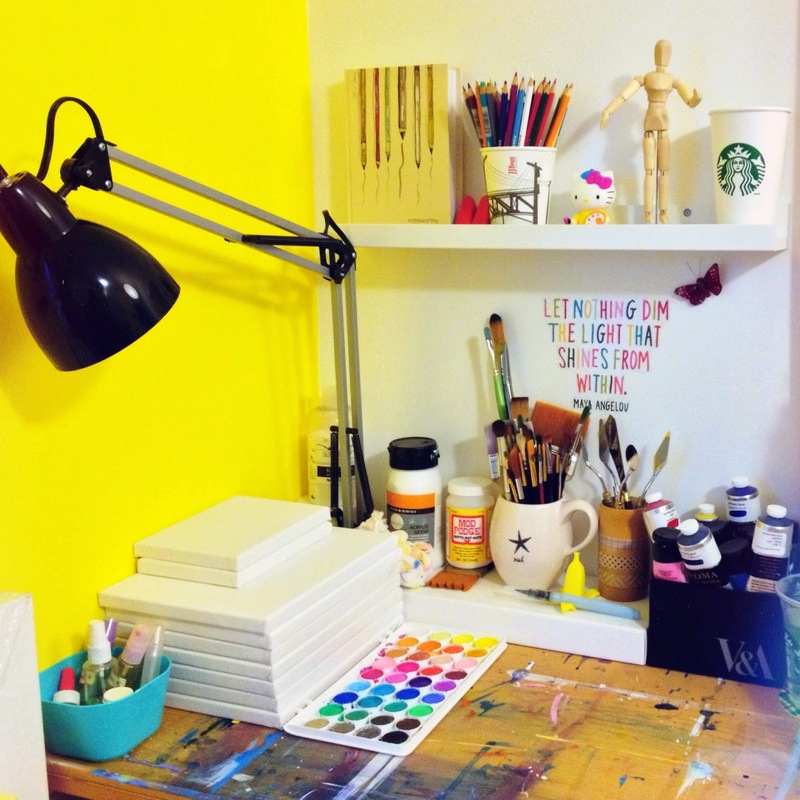 Today I'm sharing with you a little tour of my studio, where all the scrapbooking and art magic happens. 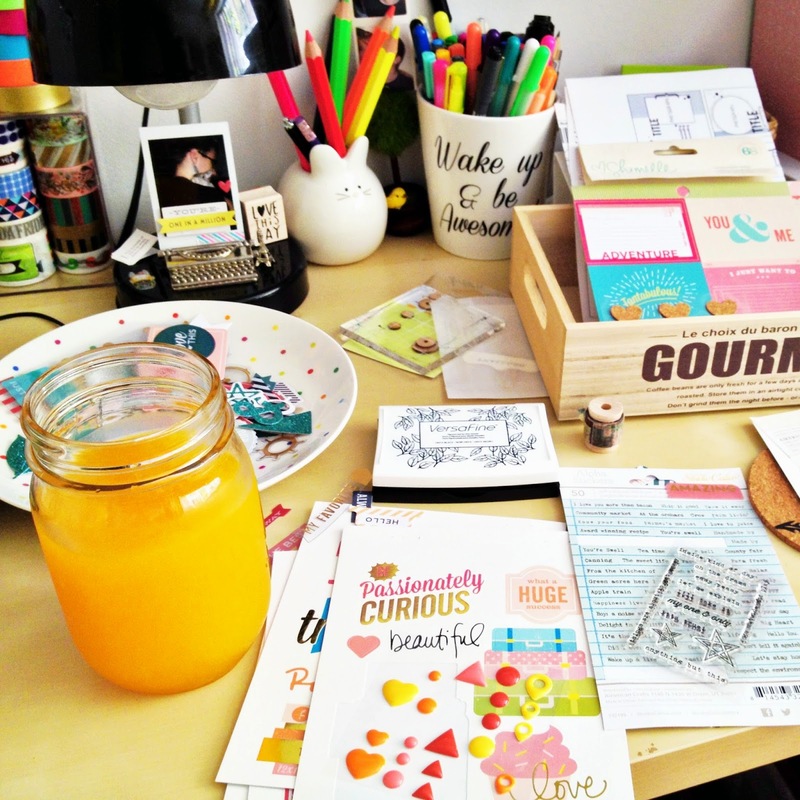 So grab a cup of tea, get comfortable in your chair and let's have a peek into my creative space, shall we? First things first: my desk. 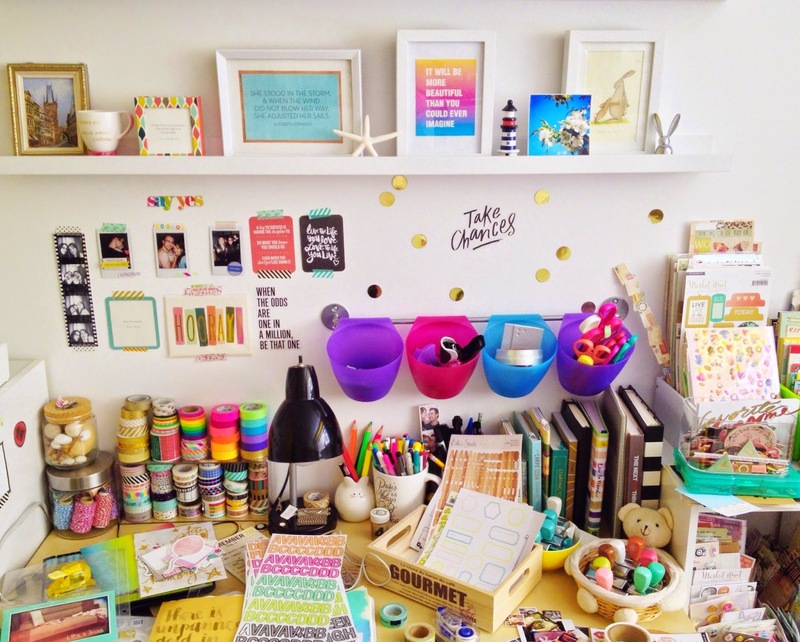 I love clean, organized spaces, especially when it comes to desks. It helps my mind feel more clear and inspired. When I create, however, this is what my desk looks like. Messy with barely any room to actually put my projects on. 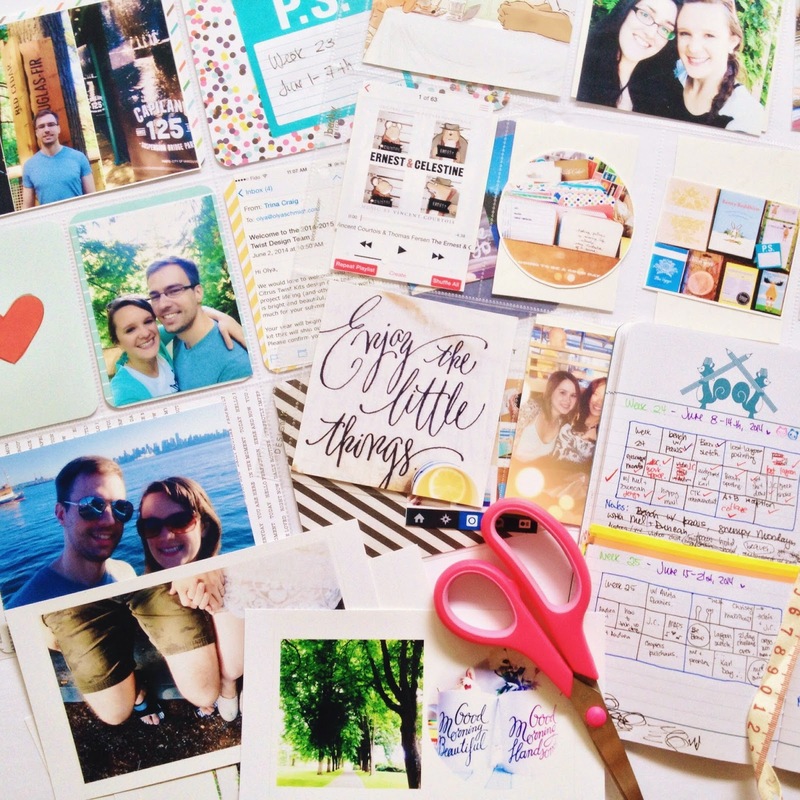 Then eventually admiring all the pretty papers turns into printing the photos, selecting patterned papers to go with the photos' themes and colors, gluing everything, decorating with embellishments, and adding some journaling. Badaboom, that's my crafting process in a nutshell. I have two bookshelves in my studio, one holds miscellaneous stuff, and another one is filled with art and crafts books, scrapbooks, notebooks and art journals. 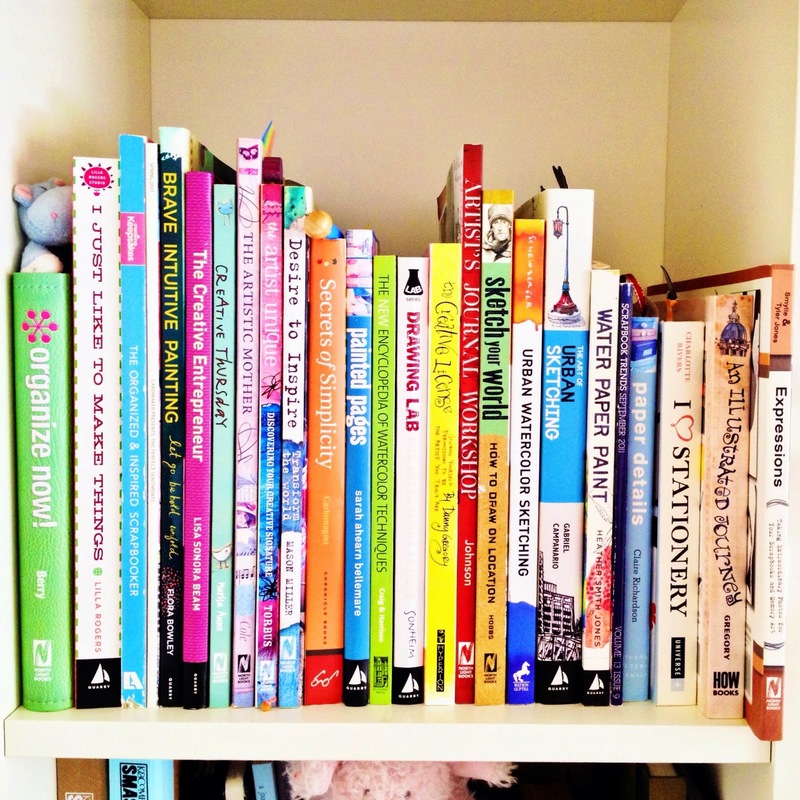 Here is my favorite shelf with my go-to books for easy reference and inspiration. 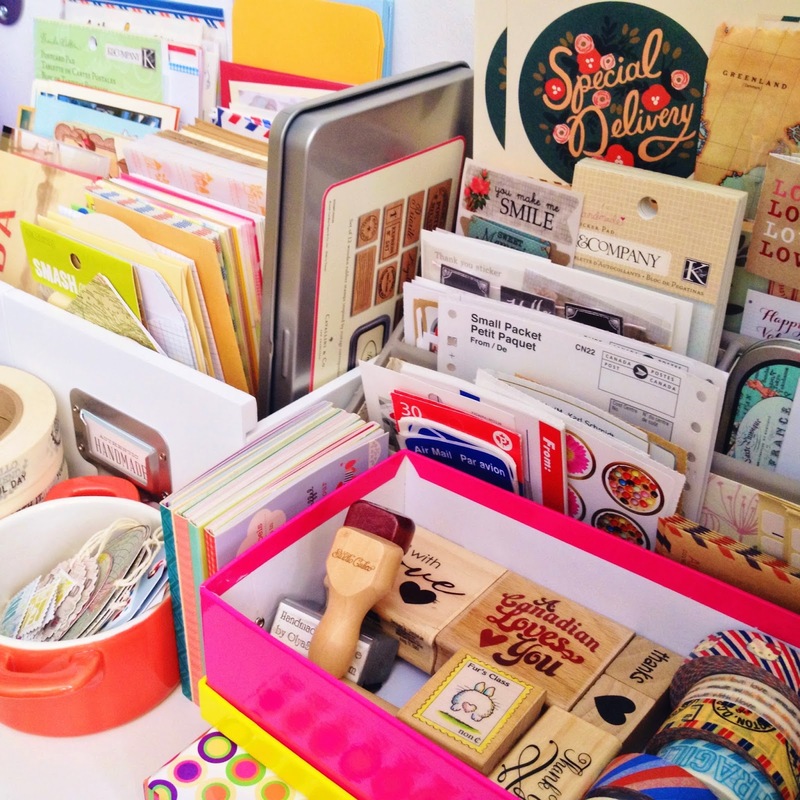 I also have a 'snailmail' station, where I gathered all the stationery I've collected over the years, as well as stickers, mail related stamps, tags and washi tapes. Now I don't have any excuses for taking too long (read forever) to reply to my penpals. And last but not least, here's my art station. Though most of my work happens outside, walking around my city and doing urban sketches on the go, I create some art at home as well. Well, this is mostly it. Thank you so much for stopping by and taking a tour around my studio, guys. Have a happy creative weekend! 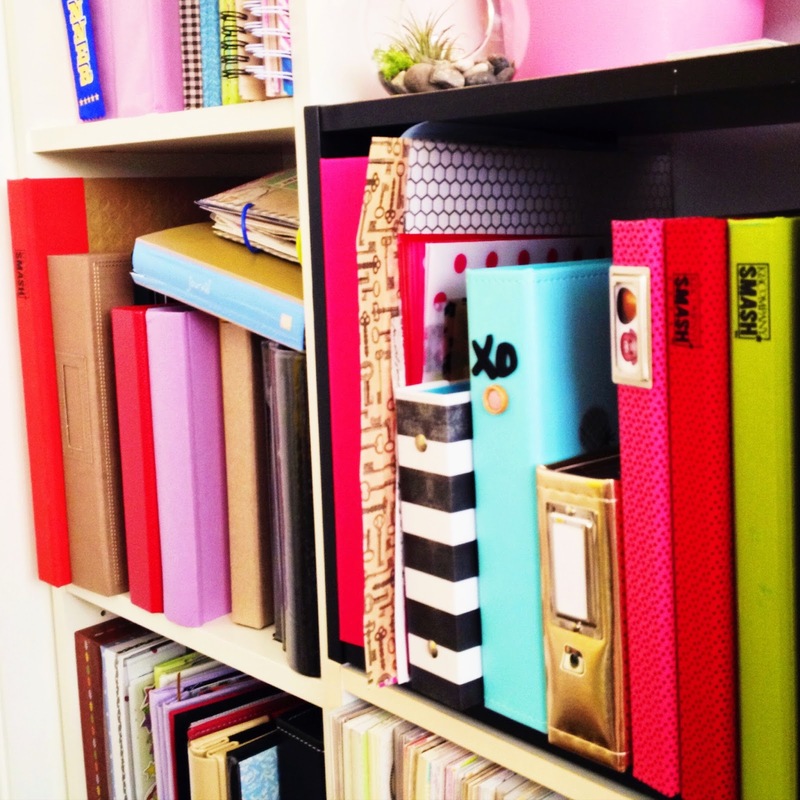 I love how colorful your space is! Thank you so much, Anandi :) color is a big part of my life and I wanted my studio to reflect it. super love your Studio, Olya!